Kakinada is a city in the Indian state of Andhra Pradesh. It is a municipal corporation located in Kakinada mandal of Kakinada revenue division and also the district headquarters of East Godavari district. It is the 4th most populous city of the state. Kakinada has been selected as one of the hundred Indian cities to be developed as a smart city under PM Narendra Modi's flagship Smart Cities Mission. Further, it was short listed in the 20 cities that are to be first developed under the same scheme by securing 14th place in the list. Kakinandivada, a village near the present Kakinada was a Dutch settlement. They also used to store and export Coconut products and, hence, the name Co–canada. The British East India Company also called it with the same name when they established the first Canadian Baptist Mission. After Independence, it finally got the name Kakinada. Some theories suggest Kakasura's losing his eye by an arrow of Lord Rama gave the name Kakinada or that Kakinandi vada is derived from Kaka, an Ikshvaku king, who built the town. Another theory says that it is Kakulavada, an abode of crows - for catching fish on the shore. It is one of the fastest growing city. During the late 1940s (around the time of Indian independence) there was little industry in or around Kakinada; the local economy was based on agriculture and fishing. Until the early 1980s (before the fertiliser companies began operation), the local economy revolved around the textile industry, auto parts, steel-related ancillary units, agriculture and fishing. 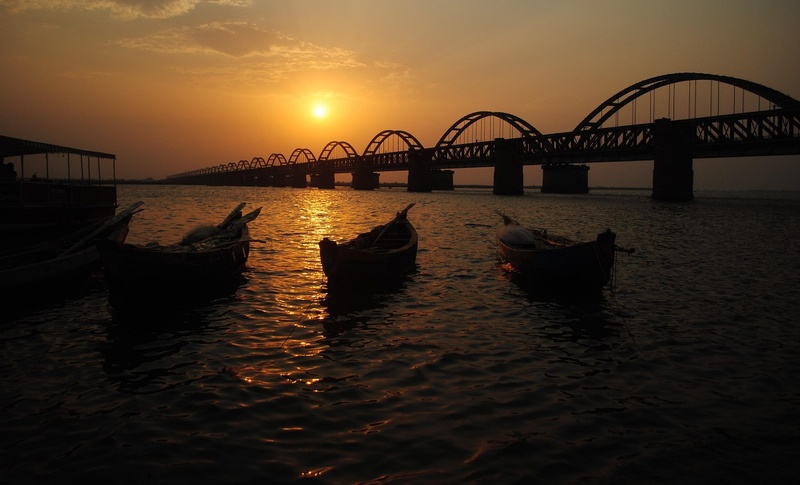 Kakinada's economy is diverse, due to its seaport and port-based industry. Hope Island, about 5 kilometres (3.1 mi) from the coast, makes Kakinada Port a natural harbour. It is home to two ports: an Anchorage port and a Deep-water port ( and also third port is going to be constructed in KSEZ which will be Greenfield Seaport ). Kakinada's deep-water port is the second-largest in the state (after Visakhapatnam port) and the first in the country to be built in a public-private partnership, in 1996 It is operated by Kakinada Seaports. Before the deep-water port was built, the Anchorage port was the largest of India's 40 minor ports. A shipyard is under construction (a joint venture of Singapore-based Sembawang Shipyard and Kakinada Seaports) to provide support services to ships around Kakinada and the east coast of India. Red-and-white lighthouse at night The Vakalapudi Lighthouse serves the port of Kakinada. Kakinada's principal exports include seafood (Prawns, Shrimp, Fish) and related products, agricultural products (including rice and corn, oilmeals, processed food products, chemicals, iron ore, bauxite powder and biofuel. Imports include chemicals, edible oils and agricultural products (including wheat and sugar). Coringa Wildlife Sanctuary, part of the Godavari delta, Hope Island, India, a sandspit formed by the Godavari, Konaseema, scenic Godavari delta islands. It is the second largest mangrove forest in India after sundarbans. Uppada beach is primarily considered as Kakinada beach which is having one of longest coastlines in Indian beaches. Kakinada beach is meant for its mild blue waters and cold breeze all the day. The famous temples Suryanarayana Swami and Kodandaramalayam are located at G. Mamidada which is 20 km from the city.